All women in this analysis had delivered one or more children and 58 percent reported ever having breastfed. A new research has found that breastfeeding can reduce stroke risk in post-menopausal women. The study, which was published in the Journal of the American Heart Association showed 23 per cent lower risk of stroke among breastfeeding women. 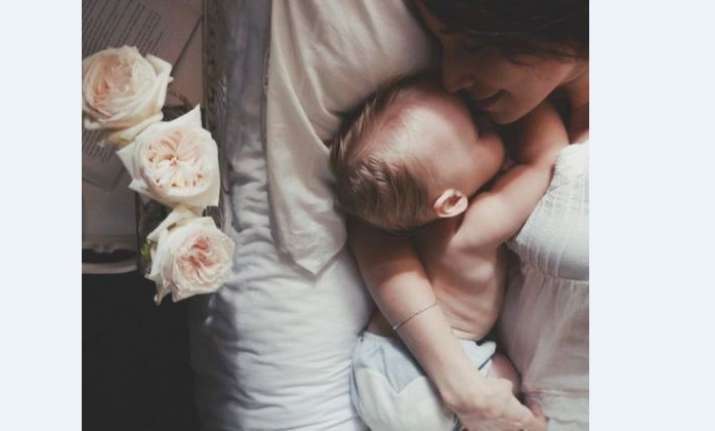 "Some studies have reported that breastfeeding may reduce the rates of breast cancer, ovarian cancer and risk of developing Type-2 diabetes in mothers," said lead author Lisette T. Jacobson, Assistant Professor at the University of Kansas School of Medicine-Wichita. Recent findings point to the benefits of breastfeeding on heart disease and other specific cardiovascular risk factors," Jacobson added. For the study, the research team analysed data of 80,191 participants in a large ongoing study that has tracked the medical events and health habits of postmenopausal women who were recruited between 1993 and 1998. All women in this analysis had delivered one or more children and 58 percent reported ever having breastfed. Among these women, 51 percent breastfed for one-six months, 22 percent for seven-12 months and 27 percent for 13 or more months. At the time of recruitment, the average age was 63.7 years and the follow-up period was 12.6 years, the researchers said. The researchers found that a longer reported length of breastfeeding was associated with a greater reduction in stroke risk. "Breastfeeding is only one of many factors that could potentially protect against stroke," Jacobson said. "Others include getting adequate exercise, choosing healthy foods, not smoking and seeking treatment if needed to keep your blood pressure, cholesterol and blood sugar in the normal range," Jacobson noted.